Our whole faith and the power behind everything we believe and teach are wrapped up in the fact that Jesus died, then rose from the grave. Jesus overcame sin and death and offers abundant life to those who put their trust in Him. Join us this Easter as we experience and celebrate the amazing hope we have in Jesus. From April 19 – 21, you can choose a time and location that works best for you to attend. Our Main Campus is located next to Stepping Stones Academy in Aiea across from the former Buzz's Steakhouse. If you’re new or have invited a new guest, we have a parking space saved for you. Let our Parking Team know and they will direct you to the correct stalls. 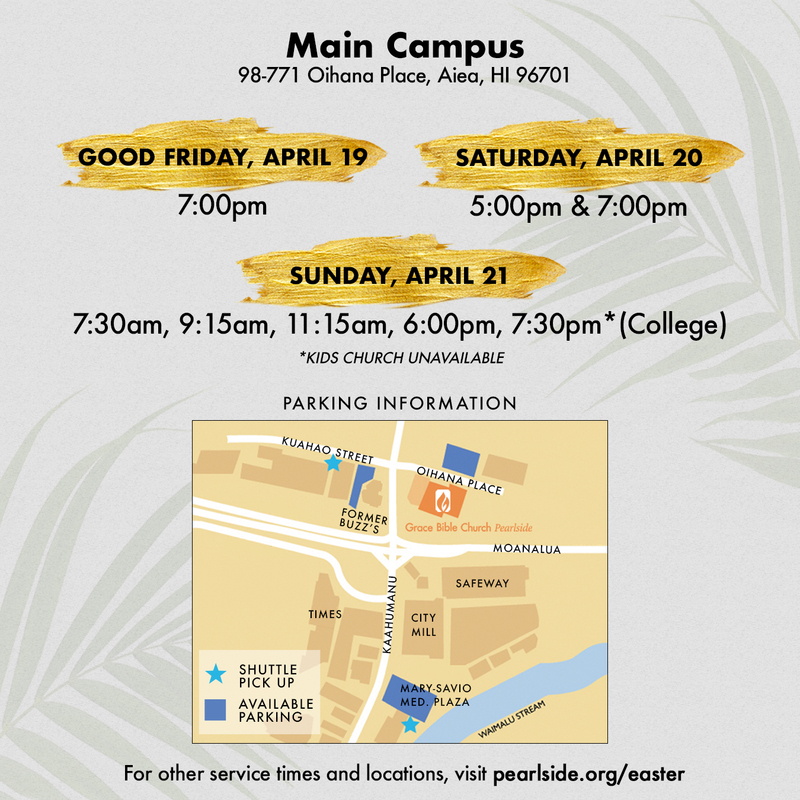 Mary Savio Parking Structure, located across from Cattle Company, is available for all Sunday services. 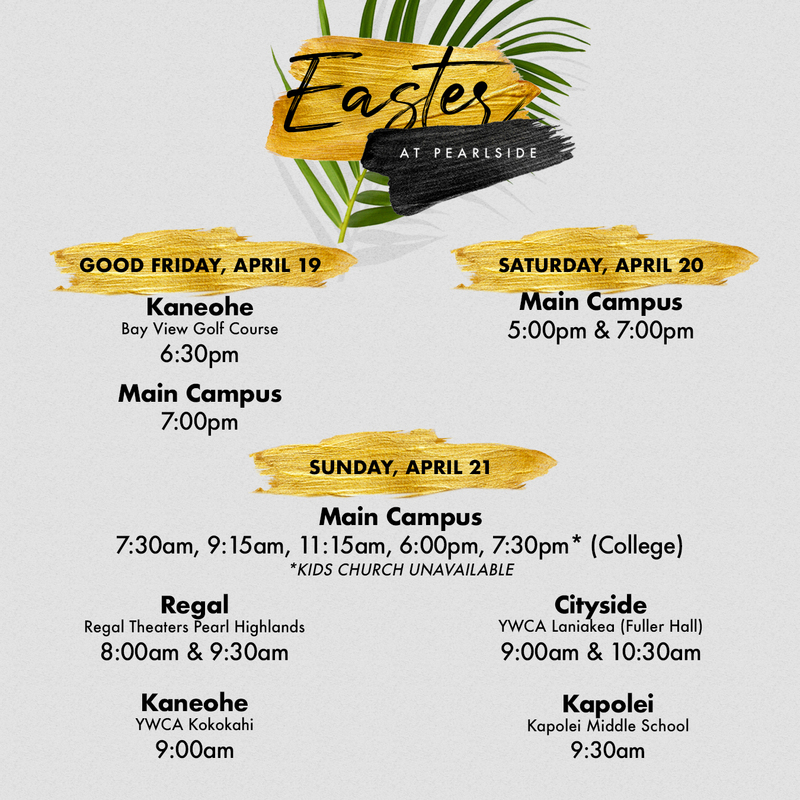 Shuttles are available 45min before each service. Shuttle services are available on Kuahao Place at the blue tent and are available 45 min before each service. Please do not jay walk to cross the street. Please be mindful that it is illegal to park on the bridge on Kaahumanu Street. Ample parking is available on site for our other locations.